Coral Springs, Fl. 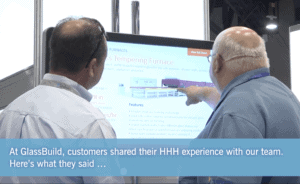 (February 7, 2018) – Glass fabrication machinery experts, HHH Tempering Resources (HHH), and glass edging and polishing equipment provider, Hiseng, anticipate 2018’s glass fabrication needs with a new product partnership. Following a signed partnership agreement, HHH is now the exclusive Hiseng—North American machinery distributor and service provider. Plus, HHH is the only equipment provider offering complete U.S-based technical support and parts stocking for glass edging and polishing equipment. The North American-specific product line features double automatic edging, straight-line edging, beveling and mitering machines. 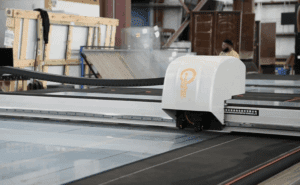 Glass fabricators can expect significant benefits from the partnership’s focus on highly stable equipment, progressive automation, industry-leading technical expertise and bi-coastal parts stocking. Glass fabricators can now meet increased demand and fulfill a multitude of edging and polishing requirements with this proven product line. Key features include continuous automatic glass size detection, touchscreen-enabled polishing wheel adjustments, ERP integration and multiple line configurations. “Our team is proud to welcome Hiseng as the newest addition to our glass fabrication equipment family. Hiseng’s commitment to improving the fabrication experience with progressive automation, high equipment standards and customer support made their team a clear choice as our edging and polishing partner,” says Mike Synon, HHH President. The HHH technical team is prepared to meet layout, installation and on-going support needs to maximize glass fabricators’ profitability using Hiseng equipment. Fabricators interested in glass polishing and edging equipment can now view the entire product line-up. 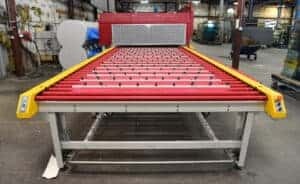 HHH Tempering Recourses Inc. is an industry-leading team of U.S.-based glass fabrication technical experts with more than 90 years of technical expertise. 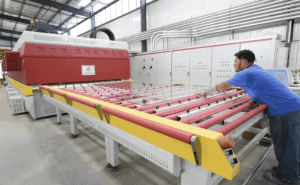 In addition to providing consulting, installation, training and on-going support, the team provides a full line of tempering furnaces and glass machinery to meet ever-evolving glass fabricator needs. Hiseng is a globally recognized glass fabrication equipment manufacturer. Since 2006, Hiseng products have been known for their quality production and automation standards. Founder Ken Zhang is a software engineer by trade whose skills drive Hiseng’s automation innovation.